The atmosphere changed entirely. The situation was instantly reversed. The originally proud Seventh Prince and the people of Great Cloud Empire looked dejected, wanting very badly to hide themselves into a hole. Despite the incomparable anger in their hearts, they couldn't say a word, because there was nothing they could say. Previously, they were even more arrogant than the people of Dan Prefecture and those people also said nothing to counter their taunts. It's very unfavourable to us that Great Qian Empire has such rare genius. 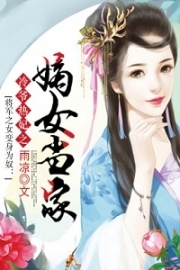 Yun Canglan whispered to Seventh Prince, knowing that the emergence of a genius like Jiang Chen in their enemy's empire wasn't a good thing to them. It's only a matter of time before I kill him. The Seventh Prince secretly swore. He had lots of reasons to kill Jiang Chen. Putting aside the fact that the flames of Jiang Chen were very appealing to him, Jiang Chen's capability alone had convinced him to get rid of this talent. This was his first time seeing someone concocting a tenth grade Holy Flame Emperor Pill, and was a mere half-step Immortal King who concocted it. This was something that he hadn't even dreamt of. He could clearly see that it was absolutely no accident that Jiang Chen had managed to do so. That kind of heaven defying technique of Jiang Chen had three kinds of flames. All of these indicated the true ability of Jiang Chen. The concoction of the tenth grade pill didn't happen by chance. Even if he let Jiang Chen do it one more time, Jiang Chen would still be able to concoct a tenth grade pill. Having such an existence in Great Qian Empire posed a potential threat to them. "The dignified Seventh Prince of Great Cloud Empire has actually lost to an unknown p.a.w.n like me. I wonder if Seventh Prince is convinced of this. If Seventh Prince is still unconvinced, we can have a rematch. I will concoct whatever the Seventh Prince wants me to." Jiang Chen approached the Seventh Prince and provoked him. He knew that everyone in Genius Prefecture was in a state of excitement. Seeing the Seventh Prince and his comrades' stifled expressions was incomparably satisfying. After all, the Seventh Prince was too arrogant before this and that had aroused everyone's, especially the people of Dan Prefecture's, disgust. Since they were very excited at the moment, Jiang Chen would make the scene even more exciting and pleasing for them. The Seventh Prince had come prepared with the intention of shaming Dan Prefecture. In that case, he would return the favour to the Seventh Prince. The Seventh Prince harrumphed coldly, looked at Jiang Chen with eyes that seemed hungry enough to eat a human alive. He had the impulse to rush forward and kill Jiang Chen. At such a close distance, he was confident enough to pinch a half-step Immortal King to death, but his rationality prevented him from making a move. He was well aware of his situation. After all, this was Genius Prefecture of Great Qian Empire. If he really killed someone in this place, he, too, would die here for sure. Even with Yun Canglan's presence, he would still not able to get out of here. He was crystal clear about the consequences. "What do you mean by 'humph'? If you aren't convinced of the result, let's have a rematch. Or is the Seventh Prince already been dazed because of me and is afraid to have another match?" Jiang Chen spoke in an enigmatic tone. He wasn't kind in nature. No matter what happens today, he would embarra.s.s this Seventh Prince totally and make him leave with dejection. "Haha! Scared? I never thought that the Seventh Prince of Great Cloud Empire, the one who proclaims to be the number one young alchemist of the empire, actually has such disgracing moment." "That's for sure. This only indicates that the Seventh Prince clearly knows himself. He knows that he's no opponent of Jiang Chen and will be defeated no matter what they compete in a match. If I were him, I, too, wouldn't dare accept a rematch because that would not only put my face at stake, but also the empire's." "Don't say these things anymore, in case the Seventh Prince will commit suicide here out of extreme humiliation. It will be hard for us to provide a proper explanation if that really happens. Jiang Chen's skill in alchemy is earth-shattering. It has already surpa.s.sed the ancient, and amazed the contemporary. Not everyone has the guts to fight him." Normally, the people of Dan Prefecture seemed proud and aloof. No one had expected for their mouths to be so vicious. These humiliating words stung the heart of the Seventh Prince like a needle. The seventh Prince's chest heaved continuously, and he almost spurted out a mouthful of blood. If it was before, if someone dared to provoke him in this way, he would've already stood up and accepted the rematch, or even start a huge war with the person. But now, despite the fury that he was feeling, he still wouldn't accept Jiang Chen's challenge. As the saying went, the capability of an expert could already be discerned on the first try. As a powerful alchemist, he knew that he was absolutely no match for Jiang Chen based on Jiang Chen's technique and performance. The result would still be the same no matter what. In spite of his reluctance, he still have to accept the fact that he had been defeated by a half-step Immortal King. "Seventh Prince, if you don't dare to accept the challenge, then hurry up and scram! Or do you think that being continuously humiliated here is a kind of enjoyment?" Jiang Chen completely ignored the Seventh Prince's fury and spoke bluntly. The Seventh Prince was infuriated despite his patience. A powerful momentum sprung out from his body. He made no attempt to conceal his murderous intent. "Humph! Yun Zhangxia, you dare to start a fight in Genius Prefecture? Then, let me fight you." An incredible momentum suddenly soared up to the sky. Yang Bufan appeared next to Jiang Chen like a ghostly figure. He was worried about Jiang Chen's safety. He didn't know alchemy, but if it was a fight, he would surely accompany the opponent till the end. "If the Seventh Prince wants a fight today, I'm afraid that it will be very difficult for you to get out of here," Dongfang Yu said coldly. He was in a very good mood now, looking at Jiang Chen just like looking at a treasure. Truly, this young man was a rare treasure. With such a talent in Dan Prefecture, he wouldn't have to worry about the development of Dan Prefecture anymore. He would be the first to defend him if anyone were to attack Jiang Chen at this time. 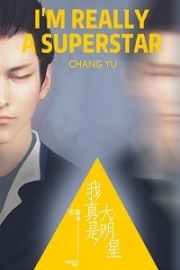 Noticing the unfavourable situation, Yun Canglan hurriedly stood out. "Seventh Prince, today's situation has exceeded our expectations. Let's withdraw for now as we still have the chance to take our revenge in the future." 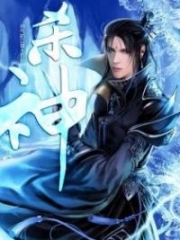 Yun Canglan quickly interjected, afraid that the Seventh Prince would lose his control due to his youth and aggressiveness. Once the Seventh Prince launched an attack, the whole situation would change completely. At that time, he was afraid that it would be like what Dongfang Yu had said, none of them would be able to leave this place. "Humph! Jiang Chen, you'd better wait for me. I won't forget today's incident." The Seventh Prince left a cold harumph and cruel remark before departing with the people of Great Cloud Empire. This group of people had come with exuberant spirit, but left with dejection. All of their plans had been messed up by Jiang Chen alone. It was imaginable what they were feeling right now. "The Seventh Prince indeed shouldn't forget it, because the feeling of being remembered is quite nice." Jiang Chen's words came from behind. The flying Seventh Prince staggered on his feet, and almost fell from the sky. You're Read Dragon-Marked War God Chapter 1508 online at NovelOnlineFull.com. You can use the follow function to bookmark your favorite novel ( Only for registered users ). If you find any errors ( can't read,broken links, can't load photos, etc.. ), Please let us know so we can fix it as soon as possible. And when you start a conversation or debate about a certain topic with other people, please do not offend them just because you don't like their opinions. You're reading Dragon-Marked War God. This manga has been translated by Updating. 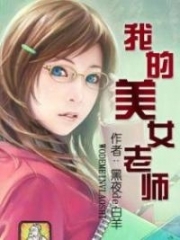 Author(s): Su Yue Xi. Already has 1860 views. Current Time is 18-Apr-2019 17:04:36 PM.